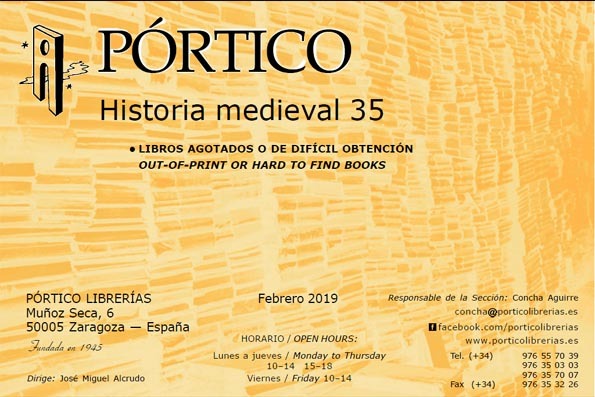 Portico librerias, established in 1945, is a bookshop specializing in the humanities. 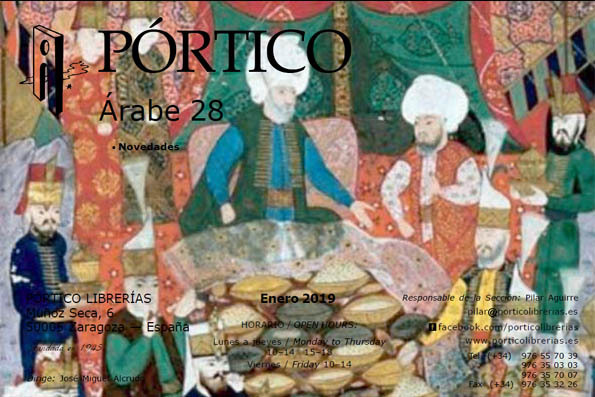 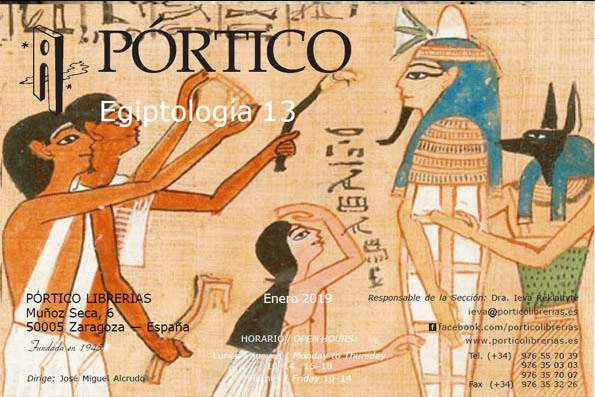 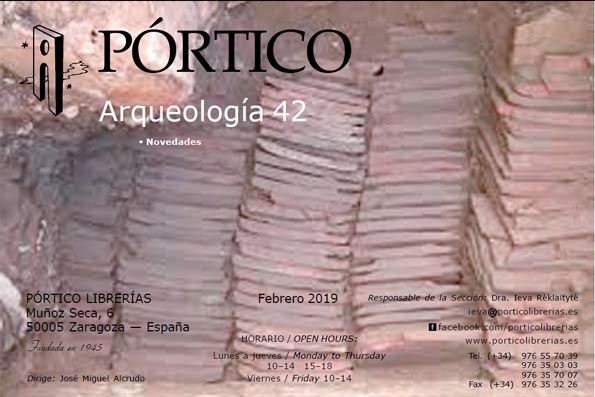 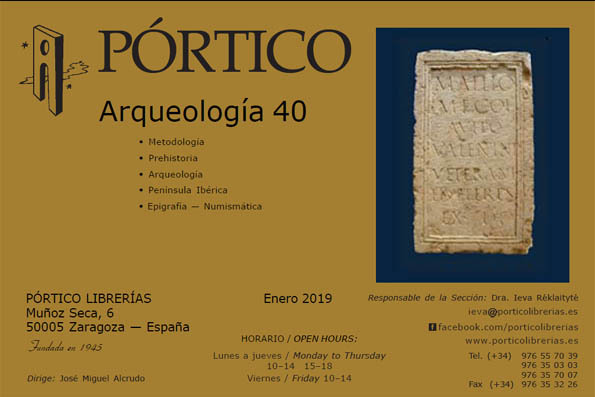 Year 2019 catalogues, books and bibliography on archaeology, egyptology, mediaeval archaeology, heritage, museology, ancient world, ancient near east, classics, literary criticism, hispanic literature, catalan, galician, portuguese, french and english literatures, mediaeval history, early modern and contemporary histories, economic thought, history and philosophy of law, history of science, art, music, cinema, americas, anthropology, librarianship, politics, arab and islamic studies, asian studies, press, radio and tv, geography, geology, marine biology, botany, photography are the subjects we work and of which we publish bibliographic catalogues that are sent free of charge to researchers and institutions all over the world. 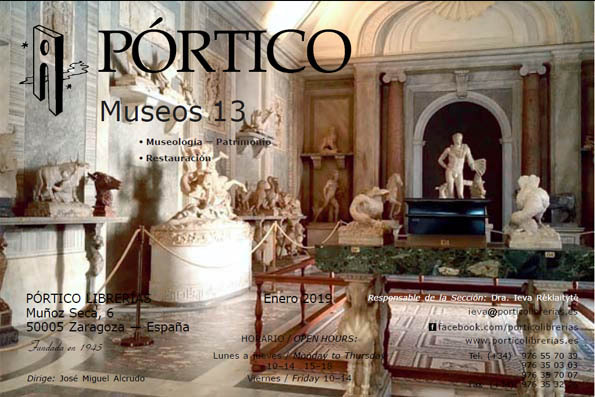 As a result, you won't get the best results when browsing through these pages and many other websites. 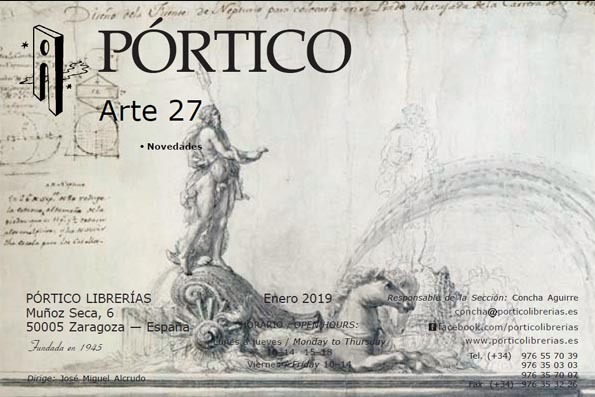 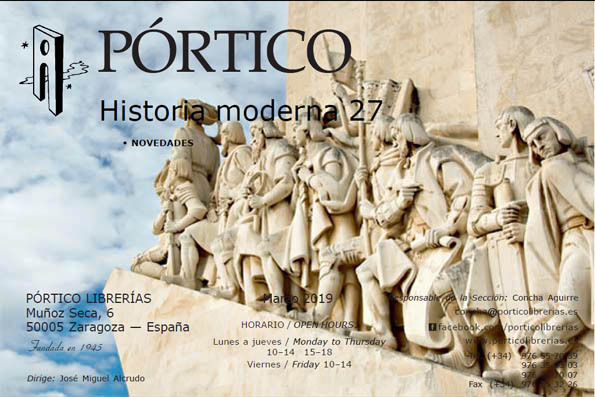 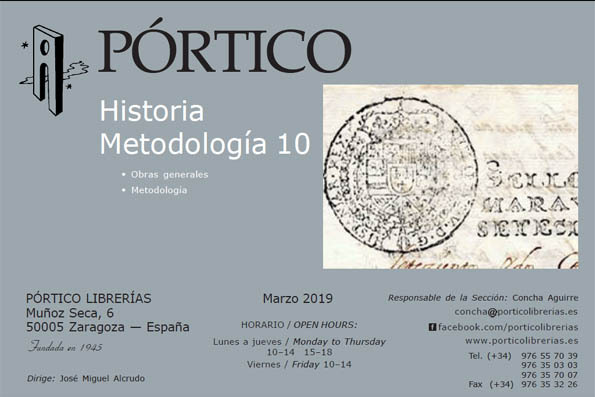 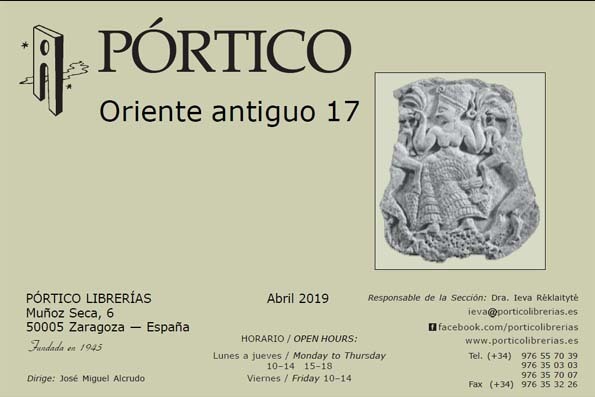 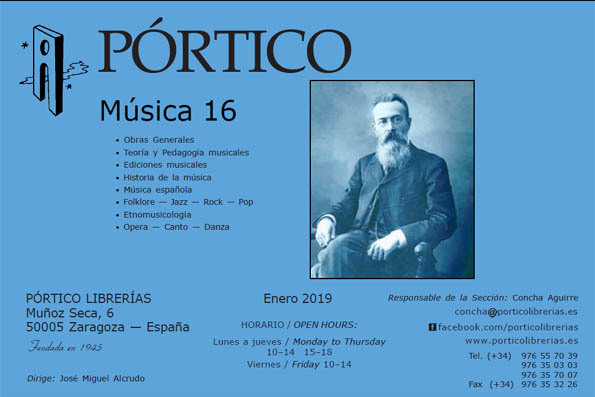 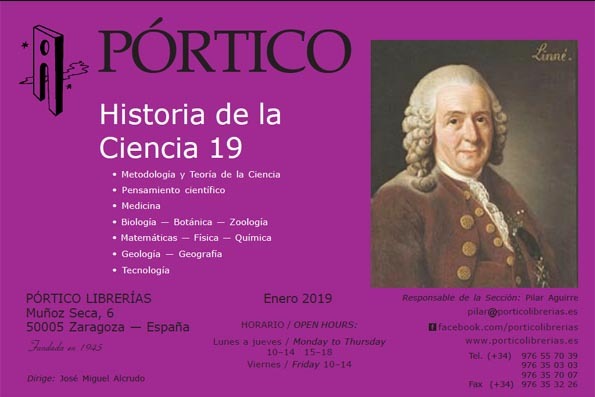 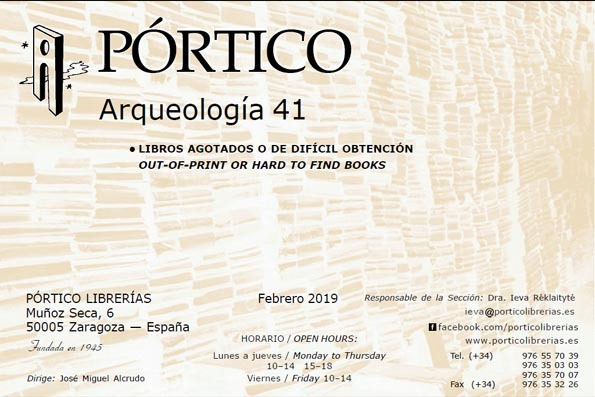 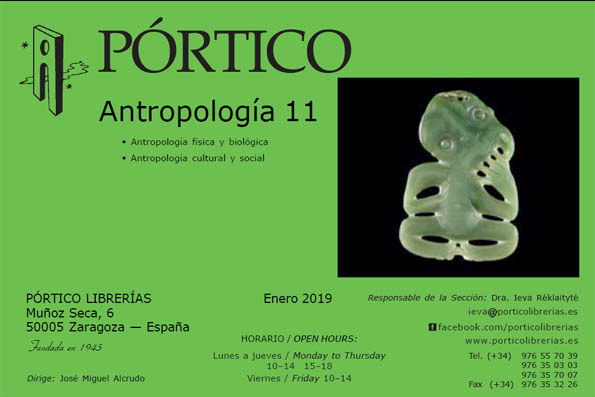 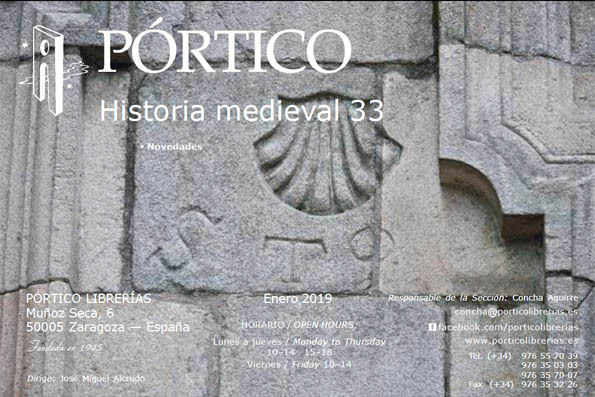 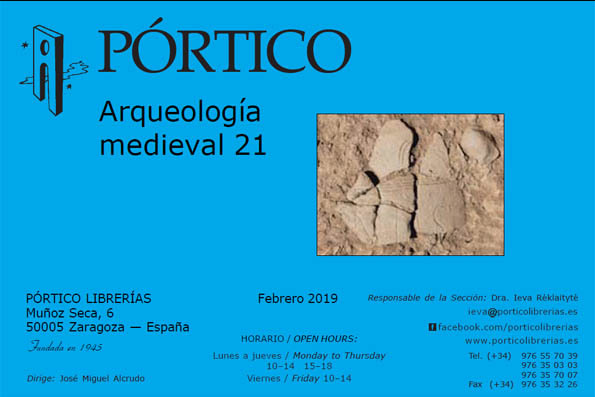 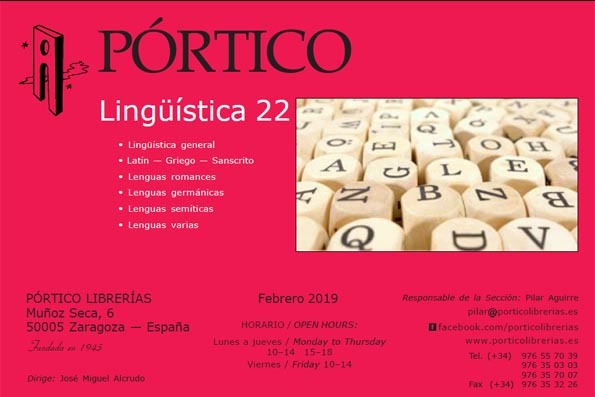 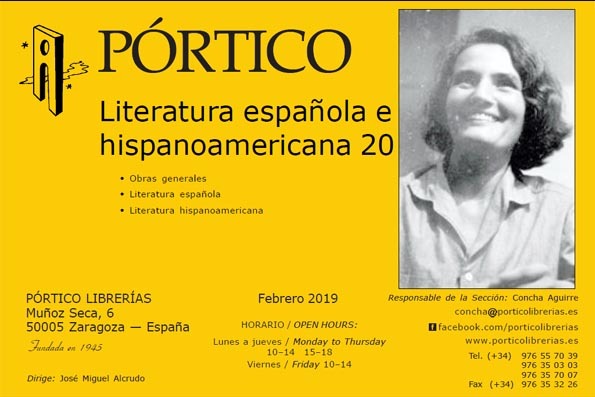 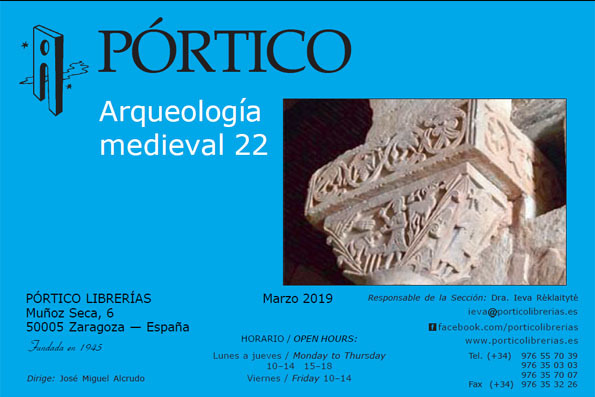 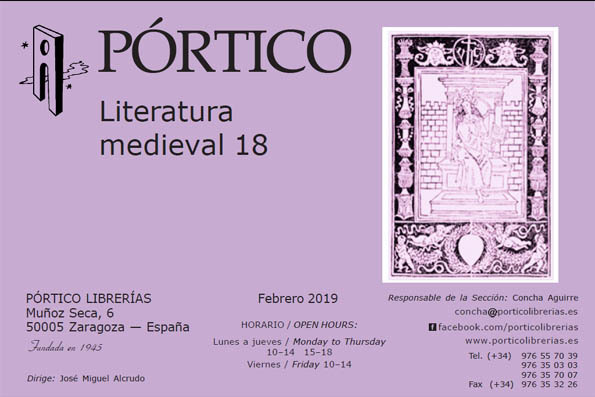 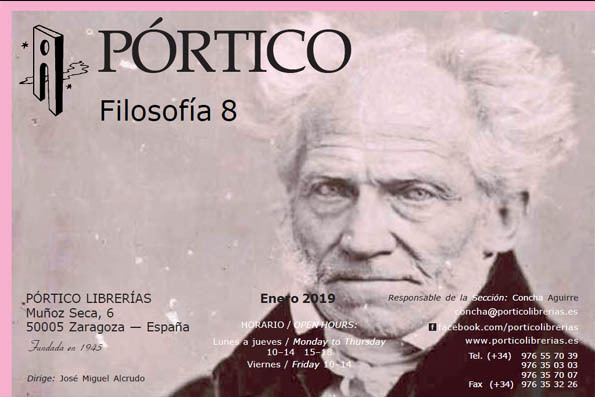 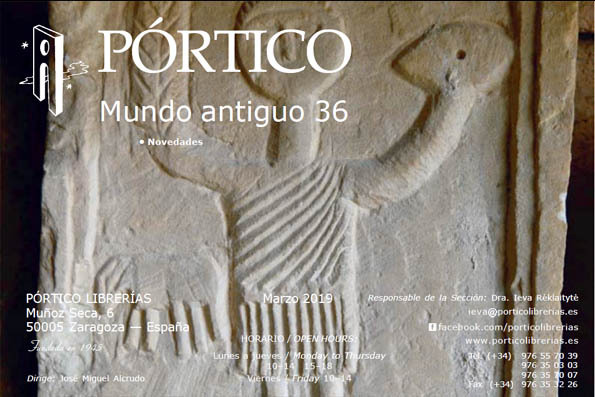 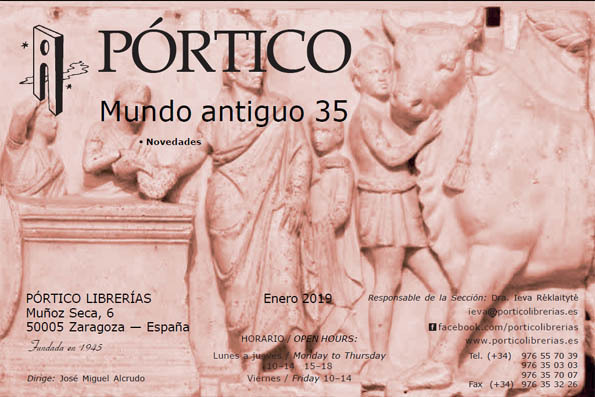 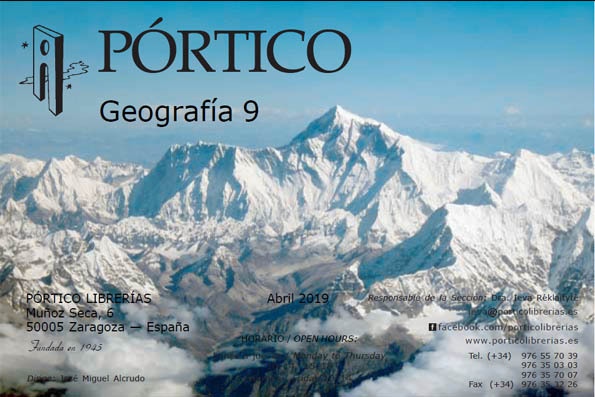 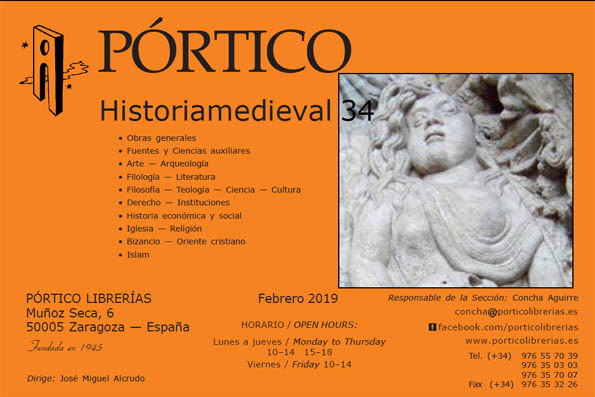 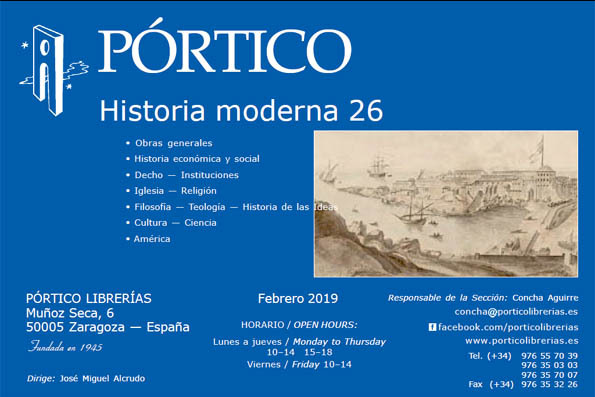 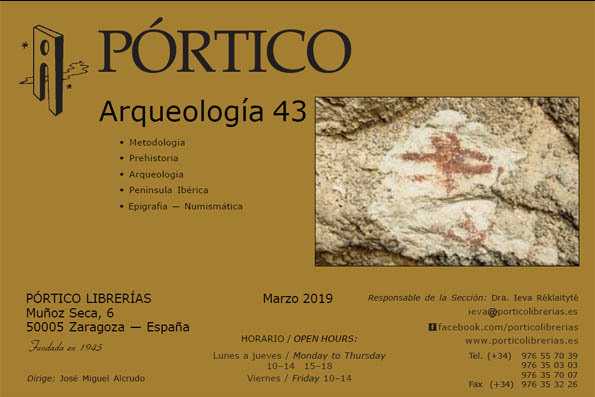 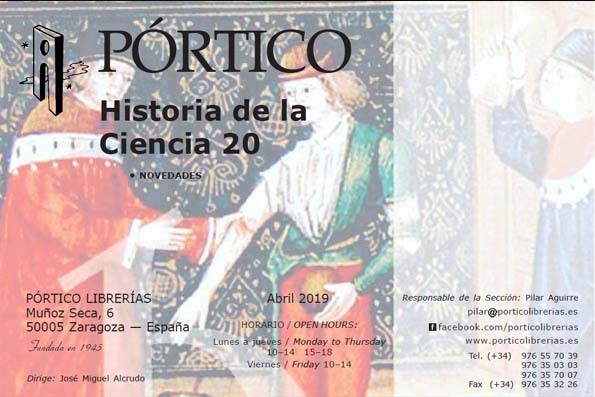 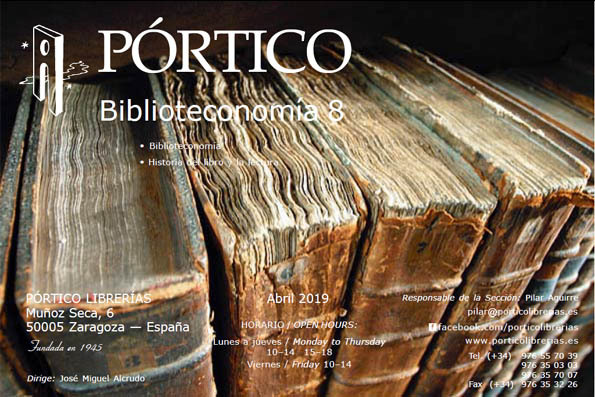 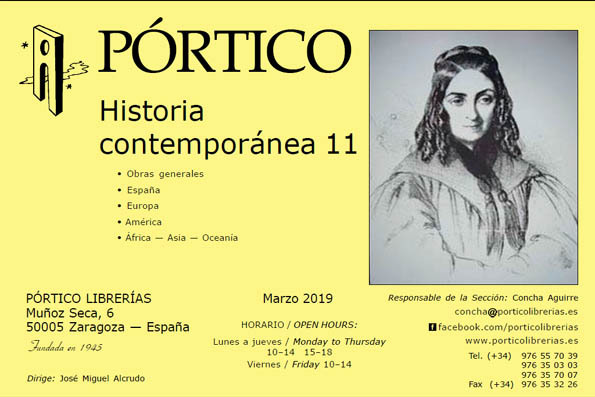 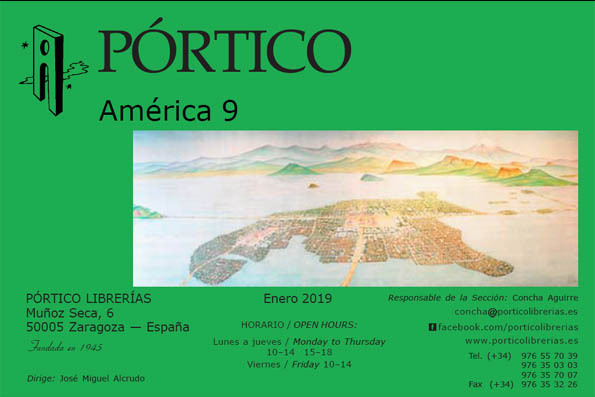 Please find below our PÓRTICO and Special offers & new titles for year 2019. 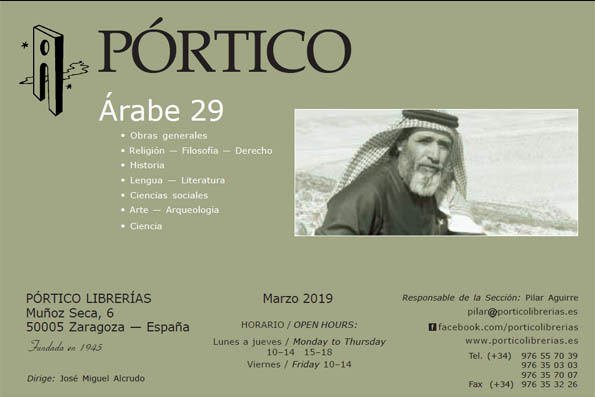 You'll need Acrobat Reader, downloadable for free from the Adobe site.